Understanding Twitter Polls and the Best way Brands can make use of them. If someone had suggested to you 10 years ago that a time like this there would be a social networking site as popular as twitter that limits your characters to only 140, you’d probably thought they were crazy. Twitter took the world by surprise. Since its invention, its popularity has continued to swell exponentially. Twitter is where people go when they want to know what is trending around them. 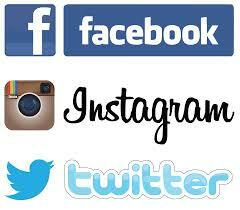 This is what differentiates twitter from Facebook and other networking sites. Twitter capitalized on this so well that it was already on the world limelight just a few days since its invention. Not so long ago, twitter introduced a polls feature that allows a person to ask a question that other twitter users can weigh in their opinion by voting with a tweet. It’s generally made up of four options and can run up to maximum of one week. The fun lays in its anonymity which means that no one can know your identity as a voter or the option that you voted on not even the poll maker. This has made twitter poll as popular as evidenced by its use by giant firms such as Nike and coke. Participants find it interesting to participate in and weigh their opinion against those of other users. The fun doesn’t stop there. If the poll is interesting, your followers can share it with their audience and they can still continue voting. If you are looking for creative ways to increase engagement rate and still remain relevant, twitter polls would be a good place to begin your quest. For maximum participation, you can pin the poll at the top of your timeline where everyone visiting your account can see it and vote. Besides the attention that the polls will draw to your page, you’ll also have a chance to evaluate the general opinion of your followers concerning certain things. For instance, if you are planning to change the packaging of your products you can present this idea to your followers in form of a poll and let them vote according to their opinion on the matter. Although twitter polls cannot be dependent entirely to make a huge business move depending on the polls outcome, the results can contribute towards the final decision made. Promotional tweets should be kept at minimal, that is if you don’t want to bore your followers. However, twitter polls can give you a chance to chip in more promotional tweets and still maintain the grip of your followers. Their engaging nature presents them as entertainment tweet rather than promotional and in the process capturing more attention. Success in social media marketing is all about how creative you can get to escape the monotony that may make your hard work go unrewarded. Use of twitter polls is one of the creative ways that you can capture the attention of more users and increase the popularity of your brand without lifting a finger. It is not hearsay but the fact that Twitter is considered to be one of the largest growing platforms is nothing but the truth. At each given time, there are users on these platform spread around the world. This is a large number that can help make a decision faster than one would ordinarily think. Twitter has over the years been considered a place where opinions are easily shared. This in essence is not far from truth and with the introduction of the Twitter polls, nothing can be easier. 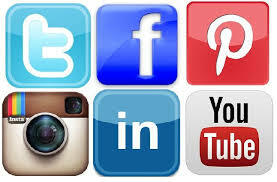 It is now an easier and faster way of gaining opinions from people on the platform. Asking opinions from people is not wrong and it’s the best way of finding answers for questions that have dogged you all along. The good thing with these polls is that they are private and neither the creator nor the voter ever gets to know who voted for and against the poll in question. So next time you want to vote in a poll be sure that your votes will never be made public. The only thing both of you gets to see at the end of the session is the overall feedback on how people voted. 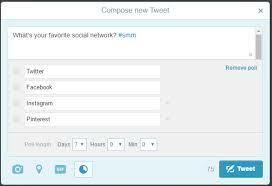 The Twitter polls feature is free and can be created and used by anyone on the Twitter platform. There is absolutely no cost that comes attached to it. It is worth noting that over the years people have gained information on the platform from different avenues but not as officially as in the polls. Before the creation of the feature, users used other means like retweets and or favorite features to gain information regarding a product or answers to a burning question through such avenues. It is therefore right to say that this is not new and has been around in other ways. If you have a question that needs answers and you do not really know where to find such answers, do not look further, the Twitter platform has everything you will need to gather the same. The feature has been used by a large number of people from companies wanting opinion regarding a product to individuals wanting an answer to a question that has been weighing them down. The whole process is easy and only takes a few minutes to create. It will be upon you as the creator to indicate the life period if the poll depending on the urgency. The good thing with Twitter polls is that once you get your feedback, it is viewed publicly. But as said earlier, you never get to know who voted for or against, the rest remain private not even to the creator. It is therefore the best place to find answers without having to pay surveyors to collect information for you. As the voting is going on, all those who voted are able to see the results and how much time is left. It is a very interesting feature worth following as the results keep on changing from the beginning to the end. It also helps open further conversation regarding a topic.